Since PfC was first established, we have focused on raising awareness and shaping attitudes. We emphasise topics related to social change and effective development work, and focus on women and youth as agents of change to develop sustainable communities. Through national and international conferences, meetings, seminars, lectures and debates – under our own and our partners’ auspices – we help highlight a range of themes connected to our area of work. When Partnership for Change was first established, enhancing awareness and changing attitudes was the organisation’s very raison d’être. 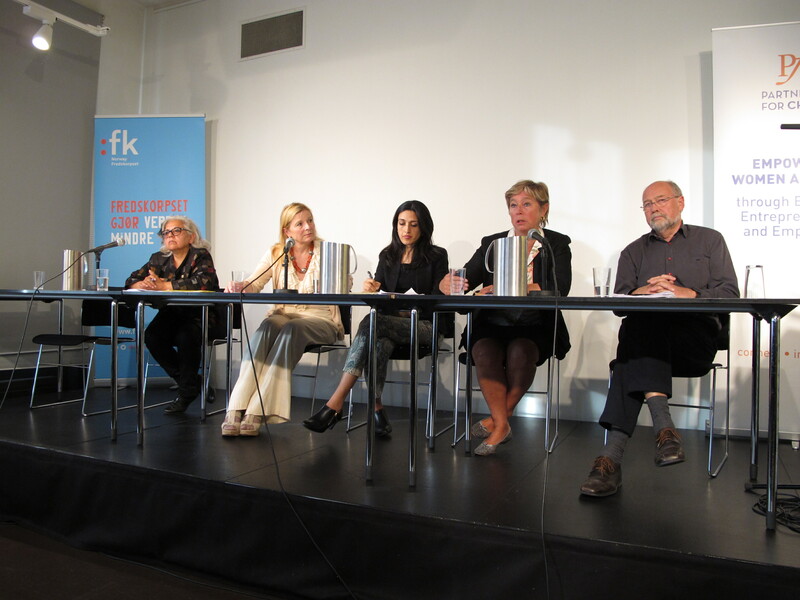 For five years, from 2011 to 2015, we organised an annual international conference in Oslo. The objective of the conference was to help break down barriers between different sectors of society. At the same time, we wished to foster an understanding that social responsibility – as well as being the correct thing to do ethically – is the most profitable option long-term.